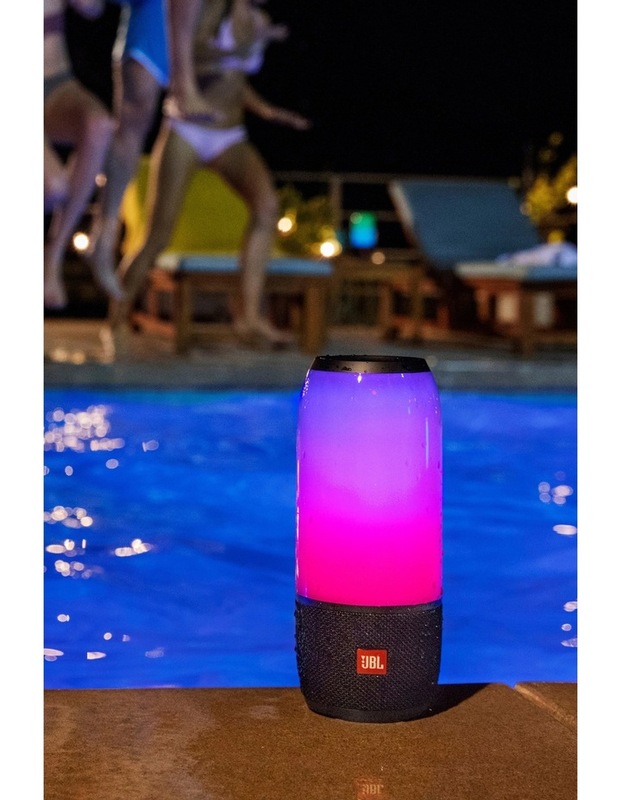 Take your music to the next level with the portable, waterproof Pulse 3 that combines 360 degree sound with a 360 degree lightshow. With up to 12 hours of playtime and an IPX7 waterproof housing, Pulse 3 is perfect for worry-free speaker. 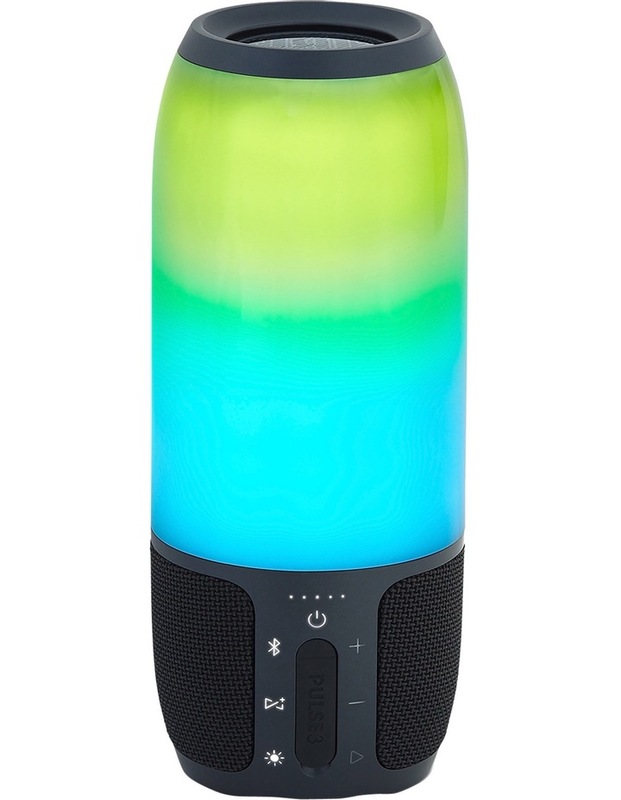 • Up to 12 hours of playtime with music and lightshow. • Customizable 360 degree lightshow sets the atmosphere. 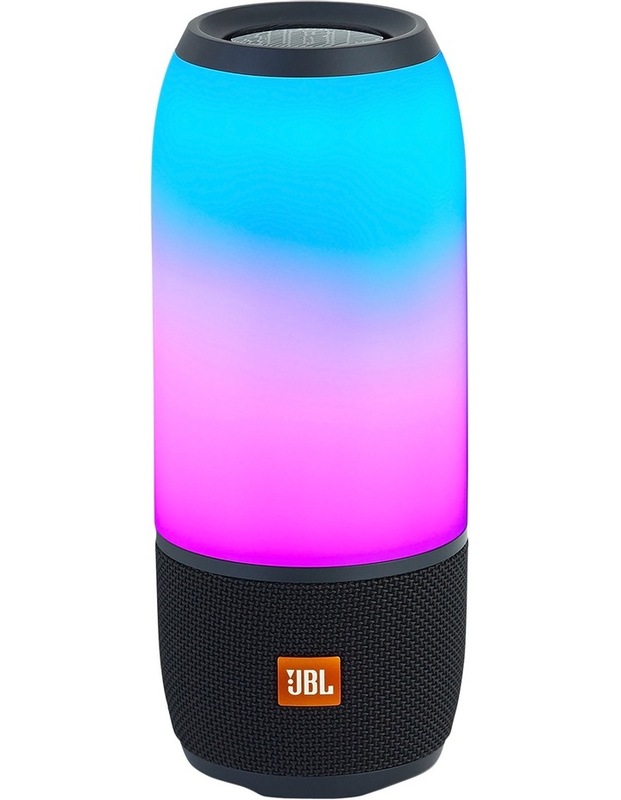 • Wirelessly connect more than 100 JBL Connect enabled speakers. • Take crystal clear calls from your speaker with a touch of a button.